When activist Nell Merlino decides something needs to change, she throws everything she has into changing it. Whether it is raising the visibility of girls or helping women build their businesses, her many campaigns have helped women make dreams come true. Now she marshals her life lessons—and those of other gutsy women—to help women have it their way. 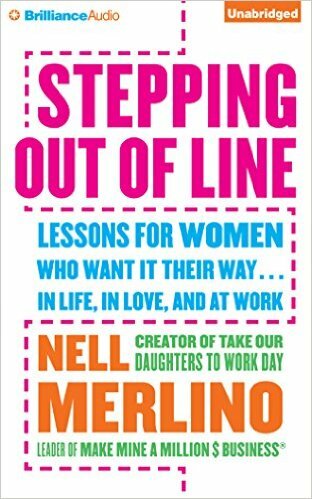 Stepping Out of Line is Merlino’s bold manifesto for women to stop waiting and get what they want, in the arenas of love or work or in the world at large. Offering practical nuggets like “Gain from complaining” and “The system is more malleable than you think,” she shows women how to imagine bigger lives, find support, and stay the course.